A glossary of terms of relevance to the XLH Community. Endocrinology is the medical specialty that focuses on the endocrine system (the glands that secrete hormones). In the U.S., it is the most common specialty for treating XLH, although nephrologists and rheumatologists may also have the right expertise. The Network maintains a database of health care providers with XLH experience. Contact us at info@XLHNetwork.org to find out if there's a doctor near you. H is for Hearing. Based on anecdotal evidence, there appears to be a link between XLH and hearing issues (hearing loss or tinnitus, also known as ringing in the ears). Unfortunately, there's no data yet to confirm that connection, and no consensus on the cause other than a recognition that hearing depends on the bones in the ears, and XLH affects bone quality. We hope to gather more data with our Natural History Study, which may then lead to more research into the cause of the hearing issues. I is for ICD-10 codes. They are diagnostic codes used in the health care industry. They vary somewhat in their uses and even in their numbering from country to country. In the United States, getting the code right is critical for, among other things, determining whether a particular treatment or drug choice is appropriate and therefore covered by an insurance policy. The U.S. ICD-10 code for XLH (and the related genetic hypophosphatemias, but not for Tumor Induced Osteomalacia) is E83.31 ("familial hypophosphatemia"). Having the right code in your medical recormay be particularly important when there is an approved treatment for XLH, and you are working to convince your insurance company to cover the cost. L is for listening. Listening is an important skill for health care providers. If your doctor won't listen to you, it's worth looking for other options. A health care provider who won't listen to reasonable concerns on little things isn't likely to listen when there are bigger issues, and that can be dangerous. (And make sure you're listening too!) If your health care provider isn't listening to you, and you're looking for a new provider, we may be able to help. The Network maintains a database of health care providers with XLH experience. Contact us at info@XLHNetwork.org to find out if there's an experienced doctor near you. P is for Patient-focused Drug Development (PFDD) PFDD is a term used by the FDA, and it recognizes the fact that patients are the experts in the daily experience of a medical condition and in the treatment goals they're looking for. We'll be holding a PFDD meeting we're calling a Symposium on Hypophosphatemia: Past, Present and Future" on October 5, 2018 in Baltimore, MD, and we hope you'll be there to document your experiences with XLH. S is for Standard of care. Standard of care, as defined by the National Cancer Insitute, is "Treatment that is accepted by medical experts as a proper treatment for a certain type of disease and that is widely used by healthcare professionals." https://www.cancer.gov/publications/dictionaries/cancer-terms/def/standard-of-care Until recently, to the extent there was any standard of care for XLH and the related hypophosphatemias, it consisted of a complicated regimen of phosphate supplements and calcitriol, coupled with frequent monitoring of blood and urine samples, plus kidney scans. That may be changing now, with the expectation that burosumab will become the new standard of care, simpler for both patients and clinicians. We'll keep you updated when there is a consensus in the medical community on a new standard of care. X is for XLH! 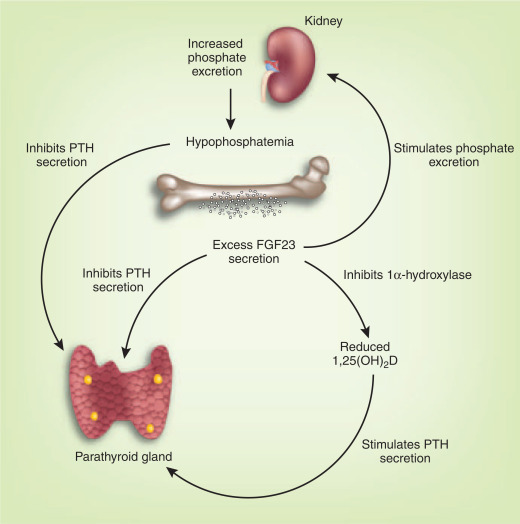 X-linked hypophosphatemia is the most common form of genetically caused hypophosphatemia, believed to affect approximately 1 in 20,000 births, for a total of around 15,000 patients in the United States and over 300,000 worldwide. The "X-linked" refers to the X chromosome, which is where the genetic mutation causing the condition is found, and "hypophosphatemia" means "low levels of phosphorus in the blood." And now you know the ABCs of XLH!